MTI Racing "Hot Spark" Heat Shield Plug Wires are Custom Made for MTI Racing by the supplier to many IRL and Daytona Prototype teams. 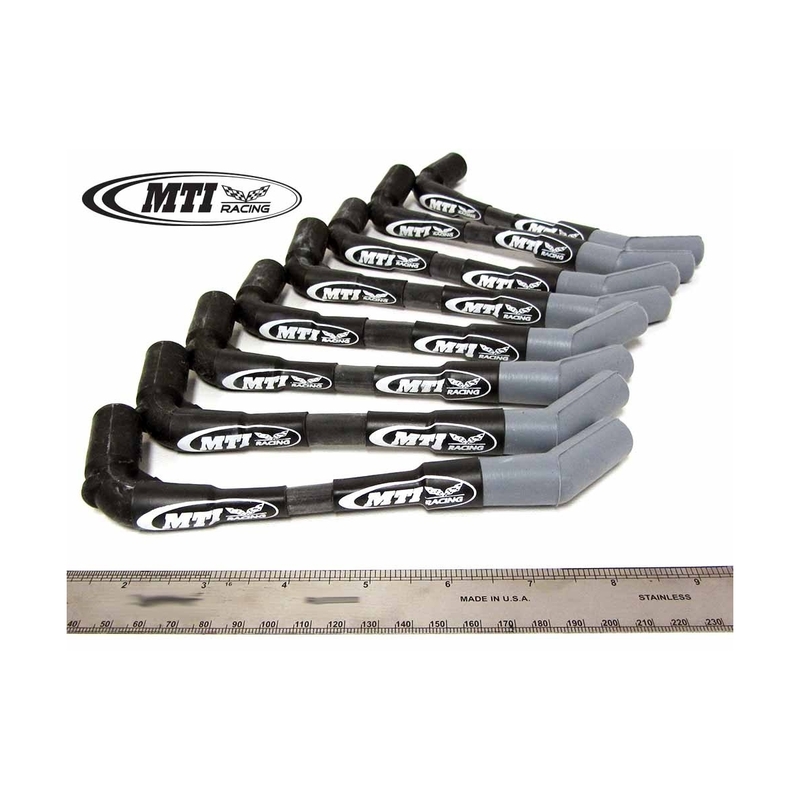 Perfect for street, show, or track, MTI Hot Spark C5 Corvette Race Wires put every volt to the plug for maximum power. C5 Performance is already incredible. HP per dollar - the C5 is a winner. An optimized C5 is even better. 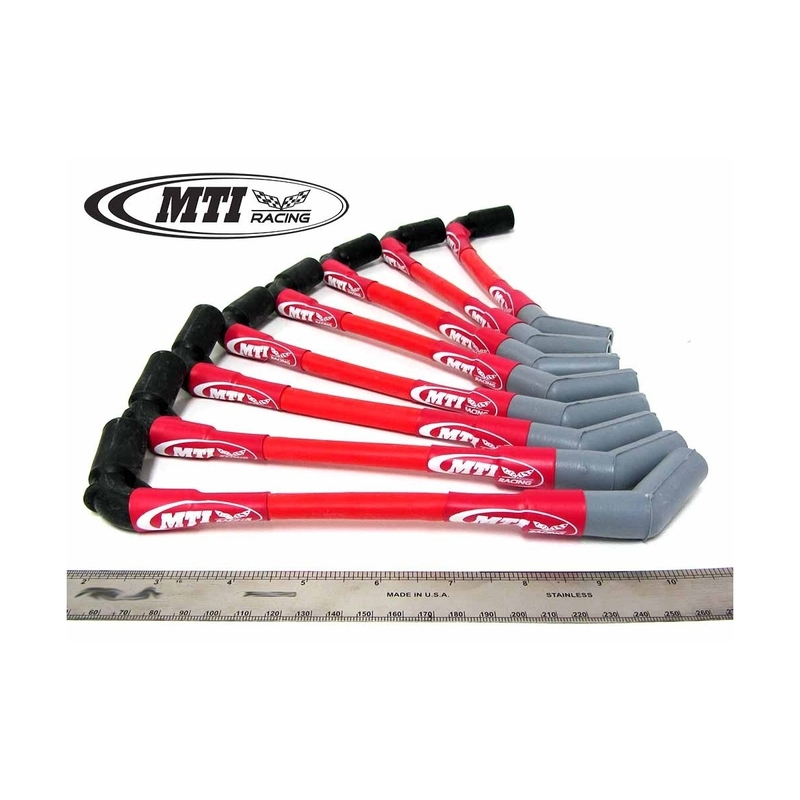 MTI Racing "Hot Spark" Heat Shield Plug Wire allow you to get the most power you can at every race condition. When under hood temperatures climb and other plug wire resistance rises, MTI Hot Spark keeps on delivering. MTI Racing "Hot Spark" Heat Shield Plug Wires are Custom Made for MTI Racing by the supplier to many IRL and Daytona Prototype teams. Perfect for street, show, or track, MTI Hot Spark C5 Corvette Race Wires put every volt to the plug for maximum power. 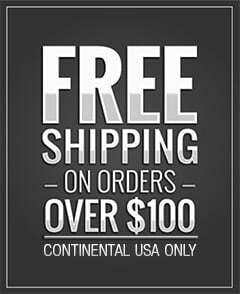 Trust MTI Racing to keep you in front of your competition.